Since smoking is not [considered as] food or drink, and nor does it reach the stomach, then is it [considered to be] that which breaks the fast? 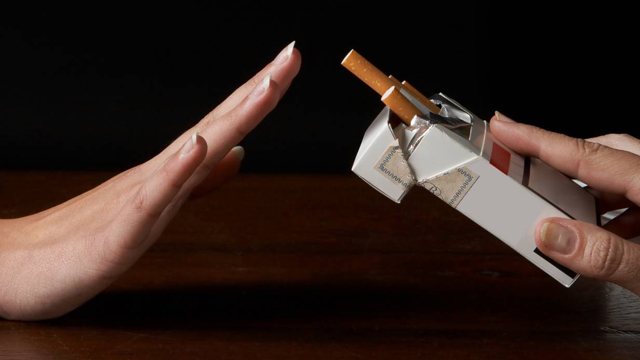 I don’t have the willpower to give up smoking, [so] what is your advice? 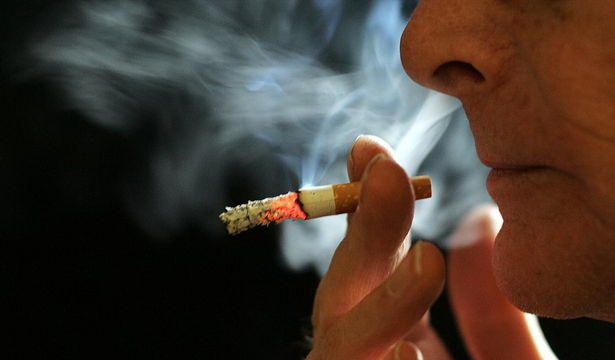 What is the penalty for a smoker according to the Sharee’ah? I am a trader and buy cigarettes for my trade, is this permissible for me, knowing that I do not smoke the cigarettes? I smoke and when I hear the muadhdhin, I enter the masjid. [So] is it obligatory upon me to repeat my wudhoo or is it enough to just rinse my mouth?